Surround yourself with beautiful Arabia Arctica products that are designed to bring functional beauty to everyday life through enduring design, combinability, and incredible quality. Arabia, part of the world-renowned iittala group, is a forerunner in Scandinavian dishware design. Designed by Inkeri Leivo and crafted with the utmost attention to detail, this collection has clean, curving lines and a creamy white color that will compliment, not overpower, any dish you display in it. It is an "oven to table" line that is also freezer, microwave and dishwasher safe, making this both a beautiful and a smart collection to own. 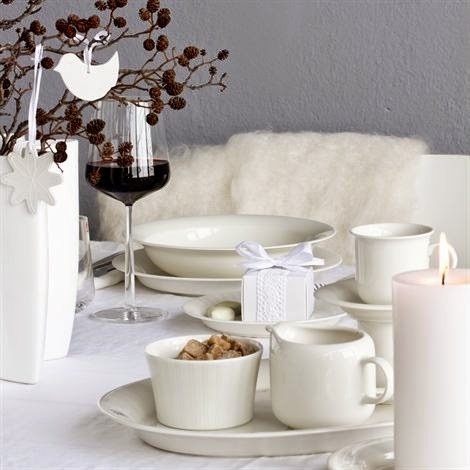 Clean, convenient and classic, the Arabia Arctica Dinnerware Collection will outlast the rest. It is impossible to get tired of the carefully thought-out, unpretentious forms of pure whiteness of Arctica, which has appealed to Finnish sensibilities for over 30 years. Elegant sauce boat designed by Inkeri Leino in 1979. Arctica was the first dinnerware to be made out of vitroporcelain, which gives the piece glasslike appearance. Timeless in design and longevity, the iittala Arabia Arctica Medium Serving Bowl is a piece you will be proud of for years and years to come. Inkeri Leivo brings us this design as part of the classic Arctica dinnerware line that is also freezer, microwave and dishwasher safe.. It is crafted with the utmost care, and the trace of a woman's hand is perceptible in every detail and gentle, curvilinear line. 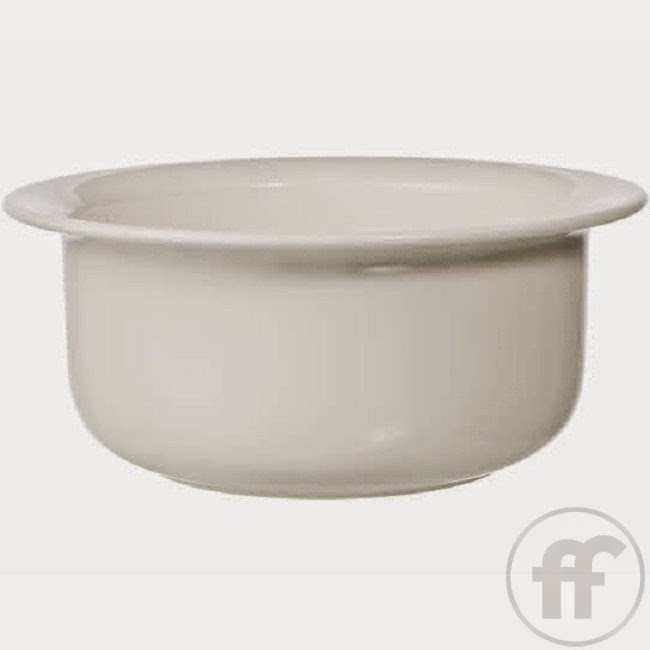 The soft white, almost creamy color will compliment any style setting and delectable dish throughout the generations. Hand down this beautiful collection, from oven to table, mother to daughter, with equal ease. Serve everything from food to quibbles with these beautiful porcelain serving dish from Arabia. The casks is in the series Arctica and can also be used as a dining platter, coffee and tea set.